At Kerhoulas Dental, our friendly Mississauga dentists love welcoming new patients, both children and adults. Here is some information our new patients may find helpful. We are very excited to meet you! 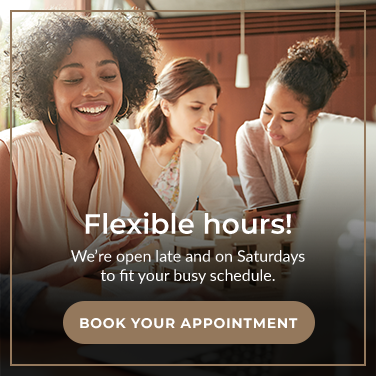 Your first appointment will generally take around 75 minutes. Whether you are a new or existing patient, please arrive a few minutes early to give us your Patient Privacy Disclosure form and familiarize yourself with our office. You can also feel free to download and complete your new patient form prior to arriving for your first visit. What you can expect during your first visit to our dental offices. Our staff will do a complete oral exam, including X-rays, in order to assess the overall health of your smile. At the end of your first visit we will prepare recommendations, which will include full oral maintenance, and potentially additional dentistry services that you and your dentist agree upon. We strive to keep our patients up-to-date and educated regarding their care to ensure full understanding of your dental care options. Dental insurance is a contract between the patient, their employer and their insurance company. We are here to assist you with calls to your insurance company, in your presence, to determine eligibility and coverage, and to also assist with predeterminations. We believe an informed patient will utilize their dental benefits, which maximizes their overall health. Book your appointment with Kerhoulas Dental in Mississauga today. We look forward to meeting you!